Pete Ricotta is USAF Veteran, he served 10 years from 1984 to 1994 and was on the ground in Iraq during Desert Storm in 1991. In 1997 he was diagnosed with multiple sclerosis that has progressed to the point he can no longer work. He is 100% service connected and the VA takes great care of him medically. In 2009 he joined Team Albany Adaptive Sports , this team through the Albany VAMC is funded 100% through donations and 100% of the funds donated go to the veterans to cover travel to VA National Games such as the National Disabled Veterans Winter Sports Clinic in Snowmass, CO and the National Veterans Wheelchair Games which moves annually to a new location. Pete has been blessed to travel with Team Albany to the Winter Sports Clinic 3 times and to the Wheelchair Games 3 times as well as attending the New England Winter and Summer Clinics each year. But as Pete's MS has progressed he can no longer travel alone and he requires a caregiver to travel with him to assist him with the tasks of daily living and to ensure his safety through the trip. The caregiver's expenses are NOT paid through the money raised for the veterans. In 2015 a generous donor paid for Pete's wife to go with him to Snowmass so that he could still attend. The cost for travel and hotel expenses each of these national events is around $1000-1500. 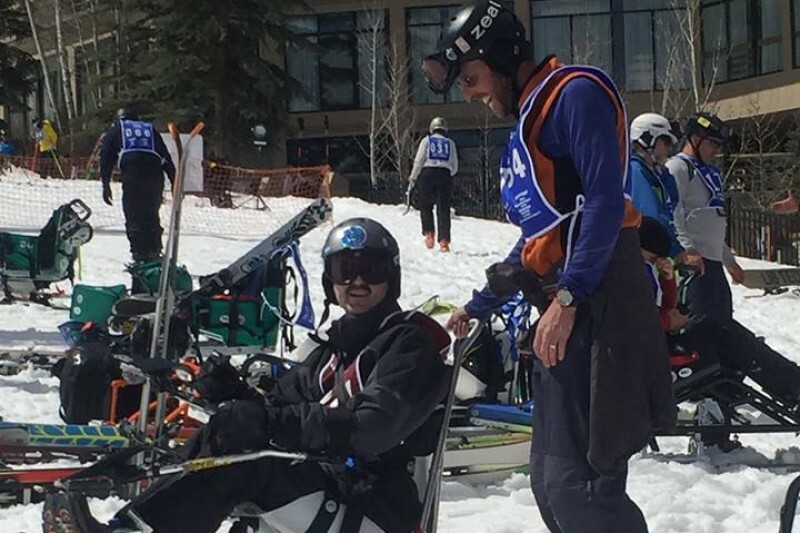 In 2016 Pete would like to attend the Winter Sports Clinic in Snowmass and the Wheelchair Games in Salt Lake City and we are asking for help in paying for a caregiver for him for these events. We thank you in advance for any amount you can donate. The chance for him to be out of his wheelchair and flying down a mountain is lifechanging for him and something he looks forward to all year. The event is aptly called Miracle on a Mountainside. We now have fully funded the trip to Snowmass, Colorado for Pete's caregiver to the annual Winter Sports Clinic that will run the first week of April 2016. Pete and I will travel with Chip and Team Albany and we are so appreciative of all your amazing help to get us there. We are still raising funds for caregiver travel to the Wheelchair Games which happen in June 2016 in Salt Lake City Utah. Any funds we may raise in excess of the need will be donated back to Team Albany to be used for future trips for other veterans in our area as we sincerely hope to be relocated South before the 2017 trips. Again we thank everyone who has donated from the bottom of our hearts! Thank you to all who have served and sacrificed for this great country. 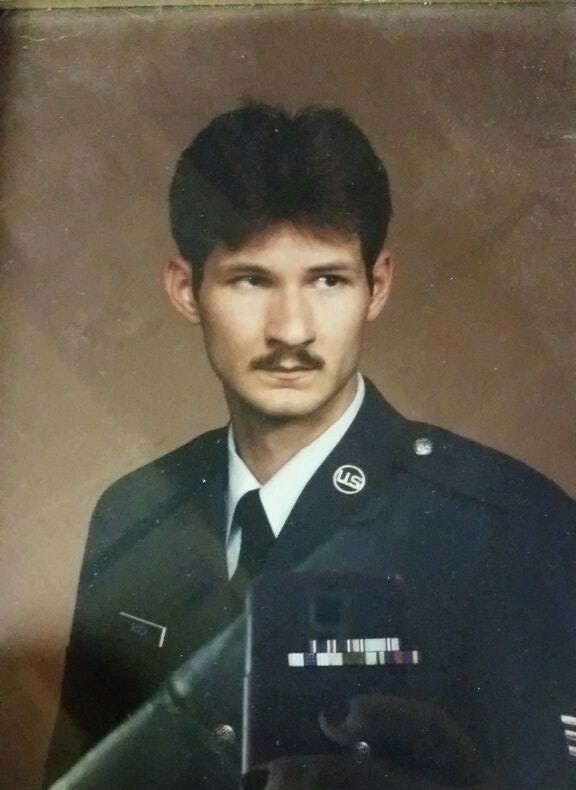 Pete while still in the Air Force. 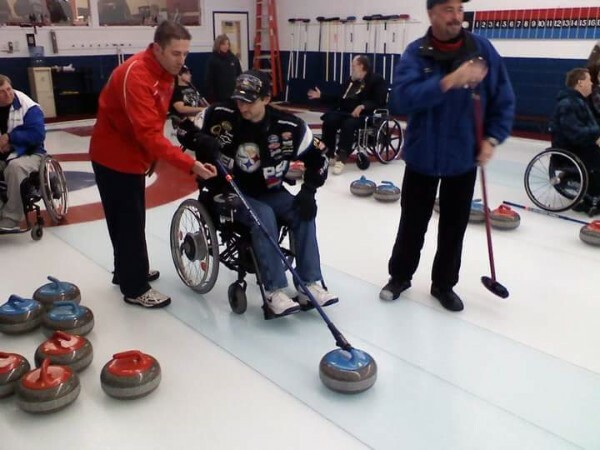 One of the activities that Pete enjoys each year at the Winter Sports Clinic is curling. It is a great sport for someone like Pete that can be adapted to any disability. He really loves it! The remainder of my paychecks have been added to the travel account. Honored to be able to help. Thank you for your service, Pete. Thank you for your service Pete. All of my paychecks for rhe few hours I can work each week go to this fund. This is what I have earned since Sept.